Andrea has been a part of the dental field for many years. Her specialty is to make your dental visit as pleasant and enjoyable as possible. She is happy to help you in scheduling your appointment and answering any questions you may have concerning our practice. She also is very knowledgeable in filing your insurance claims and can assist you with any questions you may have concerning your dental insurance. Lori is a member of our front desk staff. She has been in the dental field for six years. She can help with any of your scheduling questions. Lori is a huge Dallas Mavericks fan and also enjoys reading, shopping, and spending time with her family. Carrie is a Registered Dental Hygienist with a degree in Dental Hygiene from Tarrant County College. She currently resides in Keller with her family and is an avid sports fan. She is highly dedicated to her patients and loves to promote good oral health. She has a passion for oral hygiene and will do everything to help make you as comfortable as possible during your visit. Carrie enjoys traveling, dining out, and watching the Dallas Cowboys. 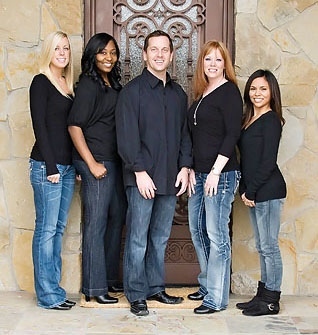 Shae is from Irving, Texas and has been in the dental field for five years and is loving every minute of it! When she's not in the office assisting Dr. Seghers chairside, you can find her spending time with her family. Shae is great at making your dental visit as stress-free as as possible.